I'm going to be leaving Thursday night for a four day weekend away in Las Vegas with four of my good friends. 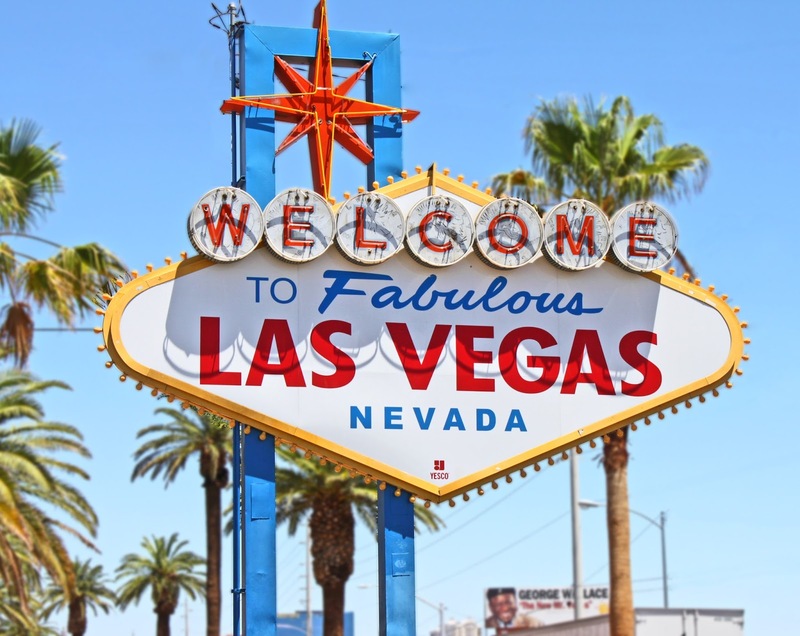 Las Vegas is an attractive tourist destination because it offers things to do for all types of people such as shopping, relaxing at the pool, golf, seeing a great show, going to night clubs, or eating great food. 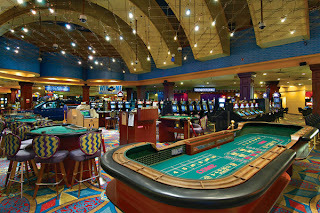 I enjoy all these things, but being inside a casino feeds stimulation for me beyond what the normal person experiences. I am fascinated with both statistical probabilities and behavioral psychology. Walking through a casino and viewing both the business side of the operation as well as the emotional and physical reaction to the participants involved is incredible. 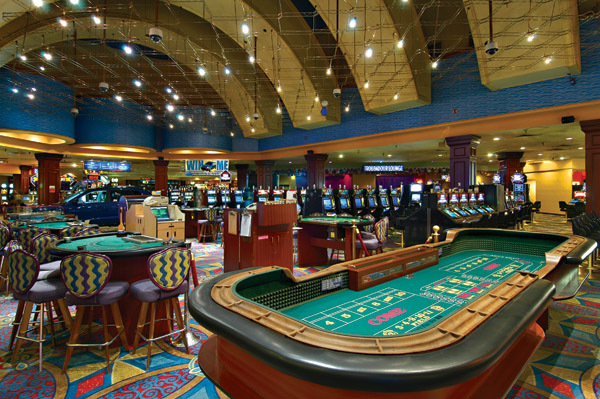 It is well known that the casino has an advantage in every single game people play, yet people get on a plane and pay for a hotel just for the chance to "gamble" in this environment. If a participant plays blackjack perfectly, meaning they hit, stay, double down, or split on every single hand they are dealt in a mathematically correct fashion, the casino still has about a 1% statistical advantage. Over time the casino would win an enormous amount of money with just that advantage, but as you know most players do not do the mathematically correct play on every hand they are dealt. This sends the statistical odds for the casino through the roof. One factor to consider while playing is that a casino will provide participants free food and drinks while you are sitting at the table. If you play perfectly and factor in the cost of the food and drinks vs. if you were not playing and paying for it at the bar, your expected return moves into the positive. If you have the ability to count cards and you play every hand mathematically perfect you can also put your expected return positive, something the casinos obviously do not like, and they will remove or "ban" you from playing should they see this occurring on a regular basis. 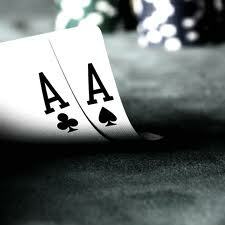 The house "edge" for casinos is lowest for people that play blackjack perfectly. 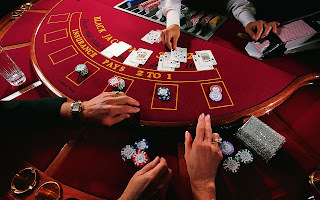 It rises significantly in other table games such as roulette (about 4%), three card poker (about 5%), slot machines (about 7%), up to the mother of all returns; Keno (about 27%). Because I am strange and think too much about these things, I experience less enjoyment from playing these games. I spend most of my time playing no-limit Texas Holdem at the poker table. Here is where the math shifts dramatically in favor to those that have a strong understanding of how to play the game. The house is guaranteed to win money every hand with the "rake" from the pot, and your mathematical odds shift exclusively to your skill level in comparison to those sitting at the table with you. The poker table for me is like a heavenly arena offering a continuous stream of limitless statistical strategy. Every single hand that is dealt requires you to understand where you have been dealt in the hand (seat position), the size of your stack, and the relative size of your opponent's stack. This is before you even pick up your cards to look at them, which is when the mathematical analysis goes into overdrive. A casino is a simple controlled experiment on both statistical probability and behavioral psychology. A small amount of study can provide someone with a very clear understanding of how the process works. Those that have played and studied poker for long periods of time tend to take the thought process that is involved with poker and start applying it to the real world beyond the table. This is why some of the best hedge fund managers and participants in the financial markets love playing poker and usually find their skill set overlapping. Instead of trying to provide a more complicated example of statistical arbitrage with going long American stocks and hedging that bet with derivative exposure to Brazilian government bonds, let's take a more common real life example. Once you start to view examples like this on a regular basis you begin to see that every single financial decision you make in life, no matter how small, is a bet similar to one made at the poker table. Most people graduate from college, get their first job, and start their investing career by contributing to their 401k, paying down existing debt, and possibly adding to a monthly savings account. Every single one of these is a bet or gamble whether one thinks of them as this or not. Contributing money to a 401k means that you are most likely betting on stocks and bonds. Beyond this common assumption most do not take the time to realize that in the financial casino 401k funds and the mutual funds that you own within that structure charge you an annual fee to invest in the fund. These most likely range anywhere between 0.3% to over 3.0% annually. That is the guaranteed loss you will take every year just by gambling on that investment structure, very similar to the "rake" at a poker table. Does this mean that someone should not invest in a 401k fund? Perhaps. Perhaps not. You must also take into account that a company may match a certain percentage of these funds. For a blackjack player, this can be thought of as the free food, drinks, or additional comps that the casino provides you for playing and should certainly be factored into your investment decision. How about the second two options? Paying down debt or saving cash every month. This has a wide range of "gambling" decisions involved. 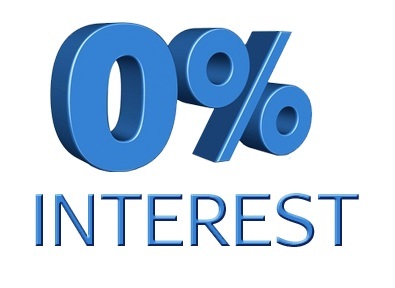 If you have a credit card that charges you 15% or more interest annually on the debt then it is obvious to even the most novice of investors that paying down this debt is a better option than putting money into a savings account yielding close to 0%. The decision gets a little more difficult the lower the rate you currently owe on the debt goes. If someone has a student loan which charges 3% interest annually, it is possible to set up a diversified bond fund with an annual yield at 4%. Not factoring in the potential bond losses or currency risk, you would "make" 1% annually on the spread. Here is a thought process taking this one step further. What if a credit card company offers you $10,000 in spending power at 0% for the first 18 months. A tempting offer, yes? Hypothetically, could someone not put all their monthly expenses on a credit card and invest the income they earn from their job at a rate over 0%, allowing them to capture the spread? Of course they could, but what is the danger? A danger would be that this person would be tempted to spend instead of invest the money they earn. A second danger would be that the investment they decide on loses principal value and when the eighteenth month arrives they do not have the full principle to pay back what they have borrowed. This, of course, is what the credit card companies hope for which is why they make such offers. It is why they hang out outside college dorms with sign up sheets offering free money. How about another great real life example: the lottery. The odds of winning the Powerball jackpot are 1 in 175,223,510. A ticket costs you $2 to play. What does the Powerball payout need to be in order to make it statistically favorable for you to make the purchase? $350,447,021. $175,223,510 x 2 = $350,447,020 + 1 = $350,447,021. When you factor in that the payout is usually only about 60% of the total winnings, the grand prize needs to be far higher than this amount to make it statistically correct to play. This is an extreme example, but helps illustrate how this type of thinking can be truly applied to anything. Some people with regular jobs who invest "safely" into their 401k look at poker players as gambling junkies that are making dangerous decisions with their time and money. Some poker players, looking through their spectrum, can make little sense of why someone would invest money into a stock market mutual fund (guaranteed to lose 2%) at a far greater risk than their long running statistical return at the table. If you can save $10,000 per year on your earnings, a statistical argument can be made that putting this money on a black jack table and always playing the mathematically correct hand will provide you a far better statistical return over the long term than a stock mutual fund (not including dividend returns). If you apply this to a hedge fund model, which takes 20% of the earnings and 2% of the total, the argument looks even more ridiculous. Am I recommending that you do any of the above? Of course not. This is only a thought experiment providing you some insight on the very strange way that I, and probably many long time poker players, look at the world around us. interesting point of view. I like poker and prefer to play online https://casinority.com/ - it's a place I usually play. 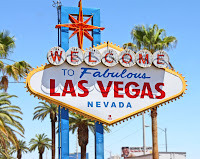 Once i would like to visit Las Vegas and play a real in a real casino! 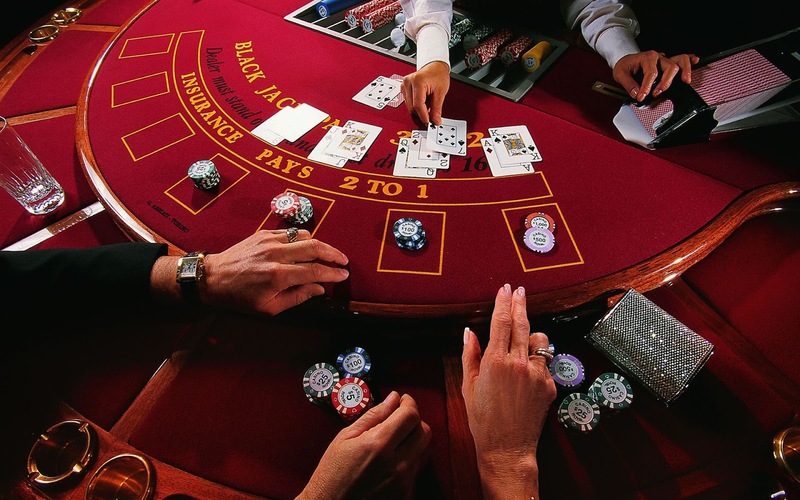 but if there is no such possibility, https://www.nativecasinos.com/online-casino/canada you can easily plunge into the atmosphere of gambling on your own.